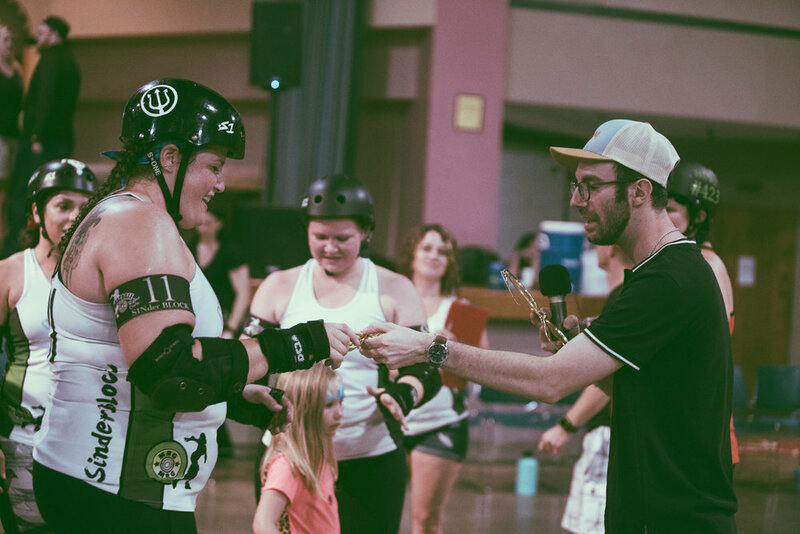 Roller derby fans filled the Zamora Shrine Center in the Irondale area of Birmingham, Alabama on June 23rd as the Tragic City Rollers were back at the venue for a double header. 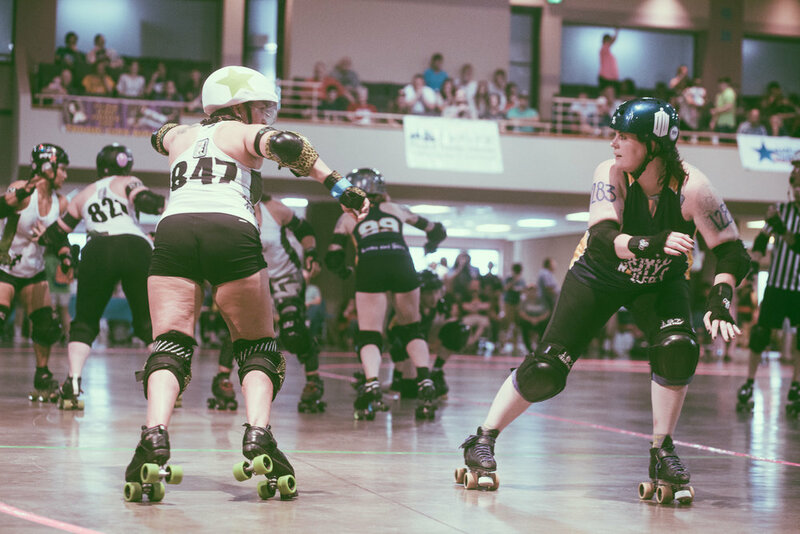 The first bout, which I was on hand to photograph, featured the Tragic City Rollers All-Stars against the Muscogee Roller Girls of Columbus, Georgia. 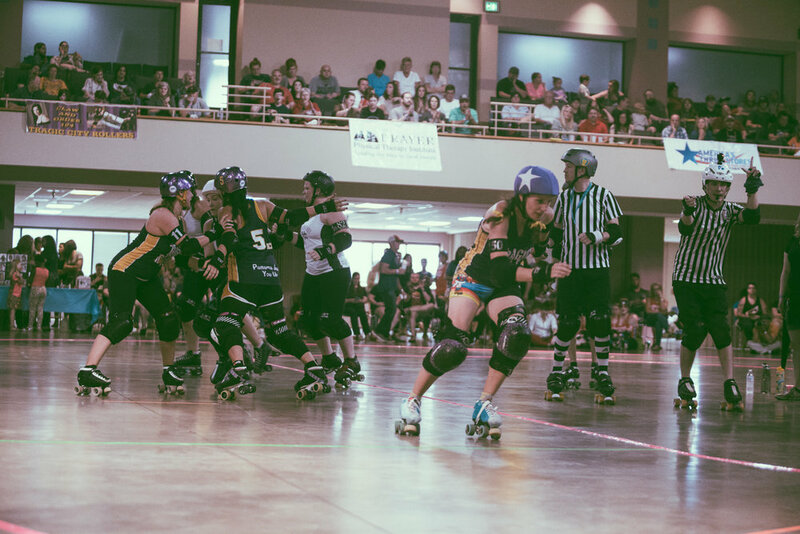 This was a hard hitting and physical bout as both teams were neck and neck in the official roller derby standings. 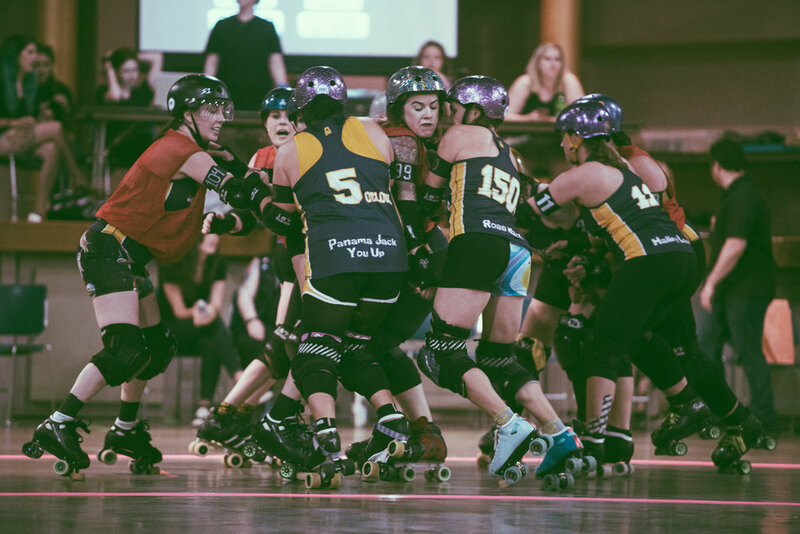 The closeness of both teams was reflected in the halftime score where the Tragic City Rollers only had a slim 93-77 lead. 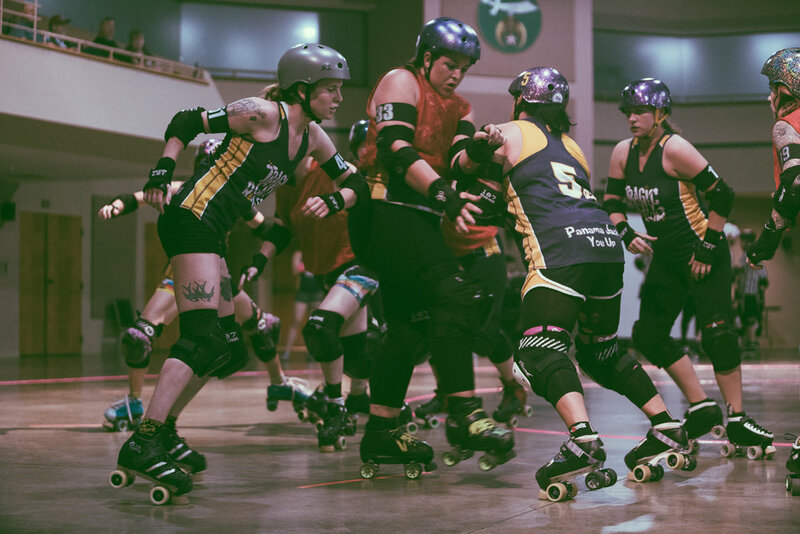 A lot was on the line as both teams wanted to come out ahead and secure the victory in the second half. 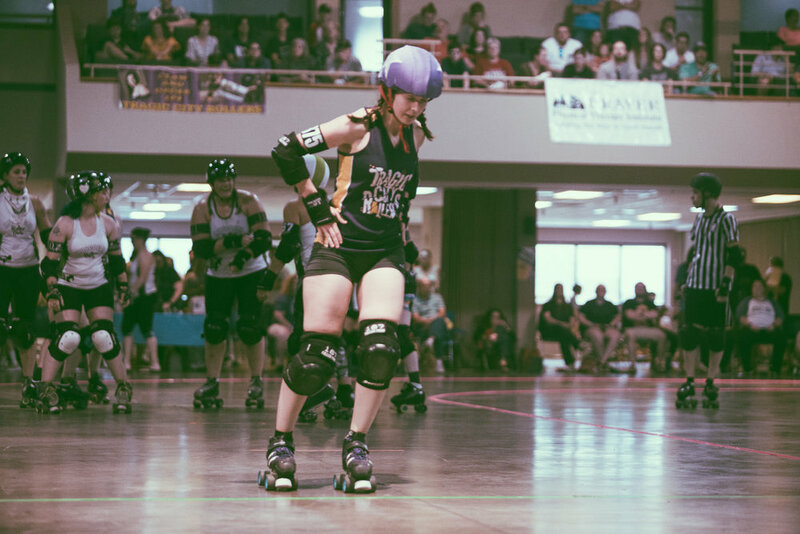 That being said, though, only one team could stand victorious at the end of this one, and it was the Tragic City Rollers. 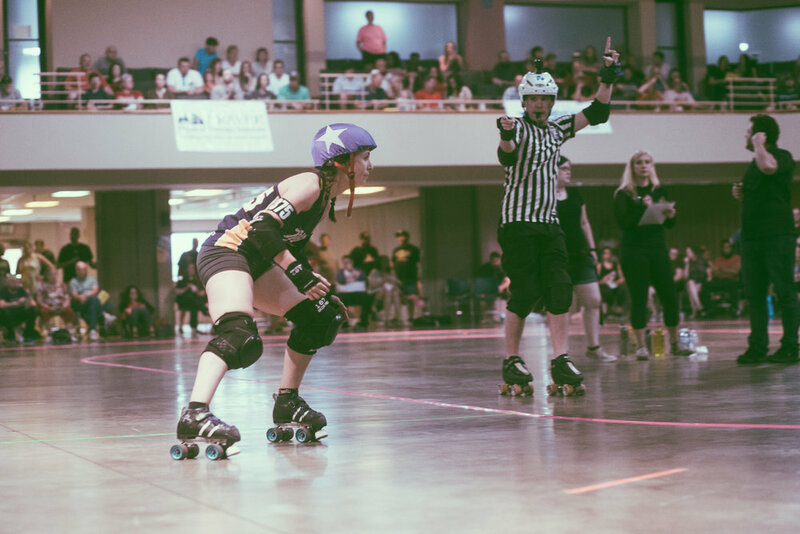 The home team took the win with an impressive 222-153 final score. 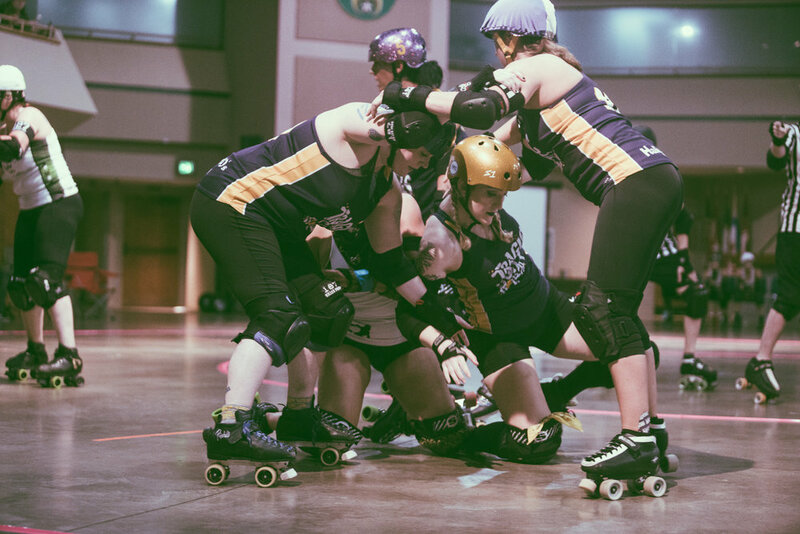 I again would like to thank the Tragic City Rollers for having me out to photograph this bout and all the other bouts of their 2018 home season. 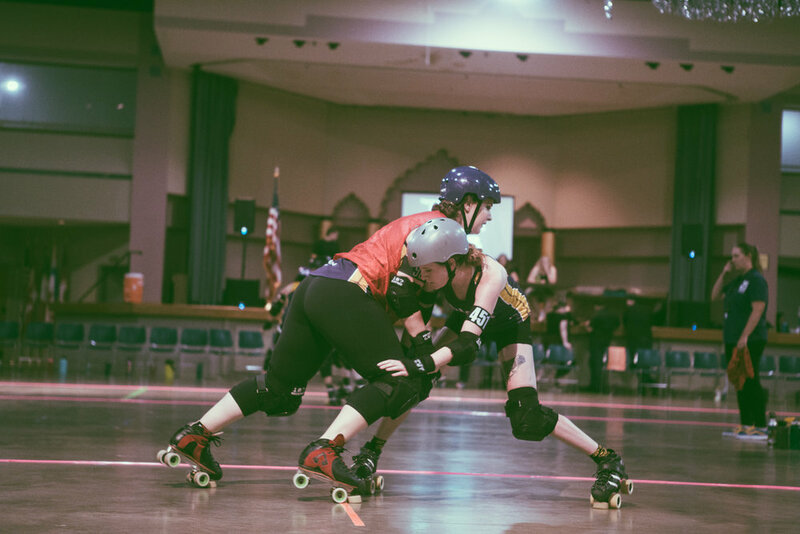 It's been a blast so far, and I'm looking forward to what the rest of the season will bring. 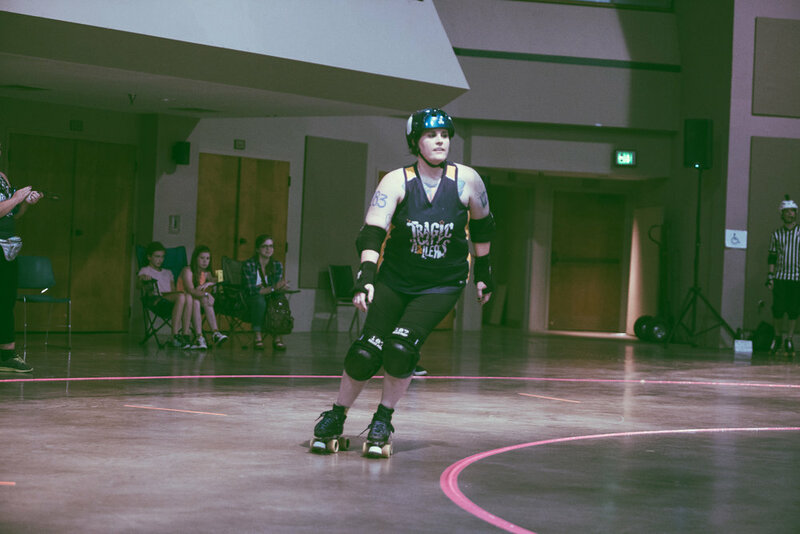 More information about the Tragic City Rollers, including details about their schedule, can be found by visiting their OFFICIAL WEBSITE.